Unfortunately, I have been unable to find them in my local comic book stores, but I really would love to check them out! Has anyone managed to get their hands on the comic? How is it? They're ok. Quality is uneven but it's nice to get different points-of-view. Which ones have you read, specifically? Would you recommend them to a fan of the series? You did not ask me, but I would recommend it! Maybe its not best comics in the world, but its pretty cool. Liara rules! 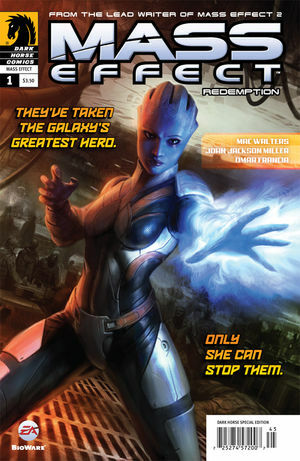 Some time ago Mass Effect comics were included in a bundle on Humble Bundle. The tier that I got (the $1 tier) only got me issue #1, but I thought that it was pretty good.